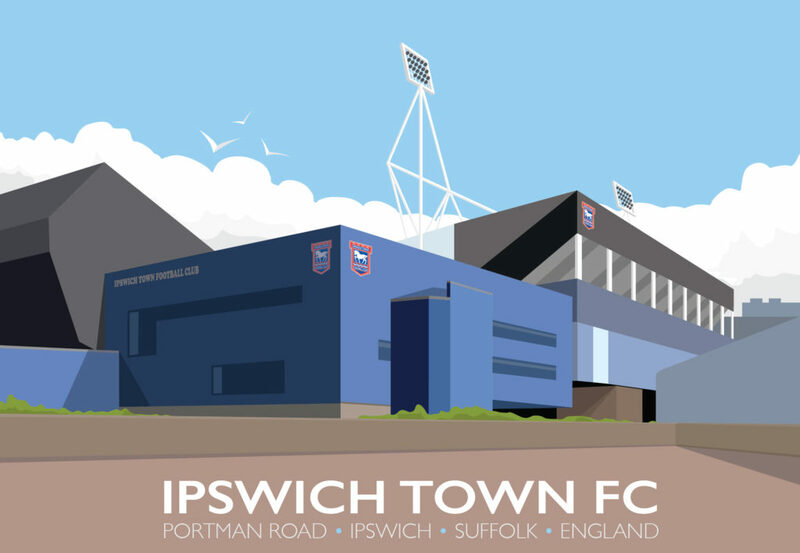 I designed this one for our friend Dan Cleary who is the biggest Ipswich fan I know and I know at least four. He had a ‘big’ birthday this week, I assumed 50; he insists it’s 40 and I’m happy to play along. It was Dan’s wife Jo who asked me to design a print of the grounds as a surprise and we worked together looking at their photos and we agreed on this view. We felt it was an interesting angle architecturally, we loved the blue building taking centre stage and more importantly for me, it meant I didn’t have to draw the inside of the stadium. All those chairs, all those people. Noooooooooo. Happy Birthday Dan. Enjoy. 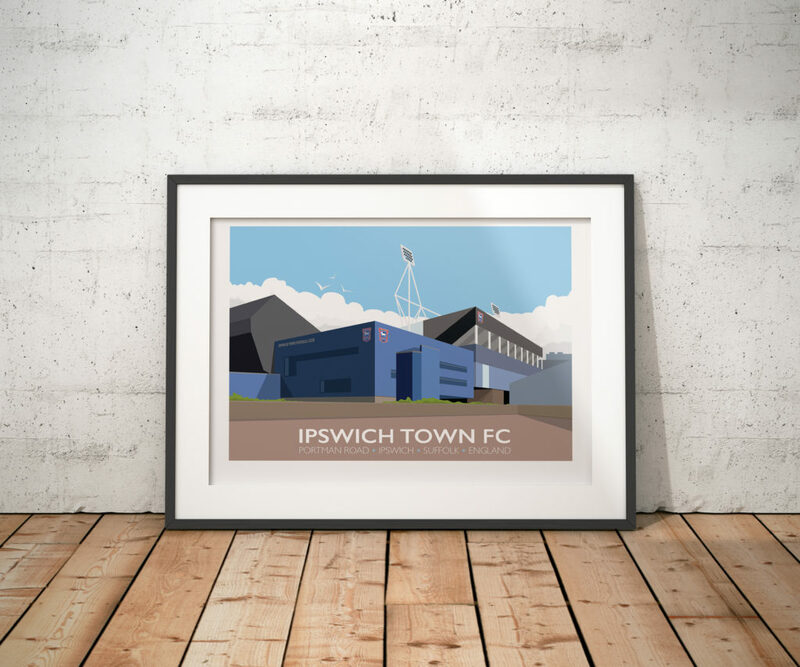 Ipswich print available on Etsy.